Boise State University: Lincoln Avenue Student Housing — The Land Group, Inc. The BSU Student Housing Project began as a joint development agreement between American Campus Communities and Boise State University to develop an approximate 850-bed, mixed-use student housing facility that included retail, oﬃces, and a community center on two city blocks of the university campus. Now entirely owned and operated by BSU, the project consists of townhouse residences with adjacent open space. The Land Group provided professional services for entitlement, site planning, and civil engineering. 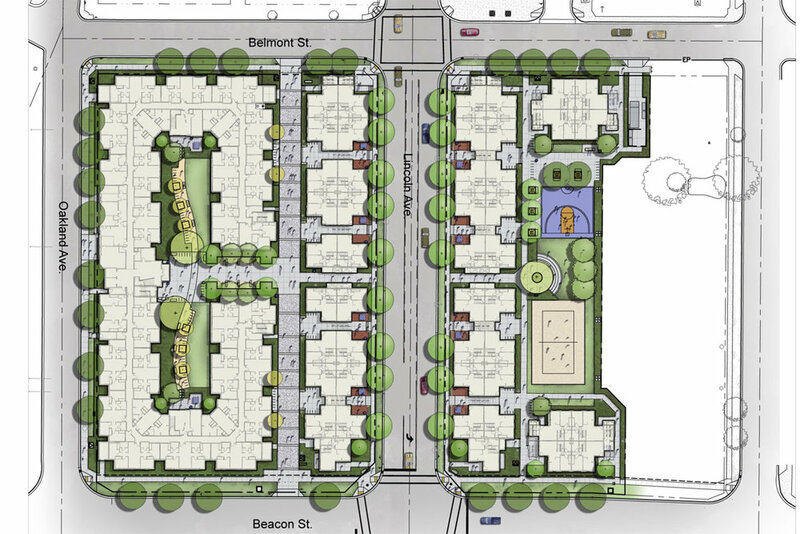 Our team worked together to accommodate dry utility coordination, surveying, roadway and utility infrastructure, common areas, and resident amenities from conceptualization all the way through construction documents. 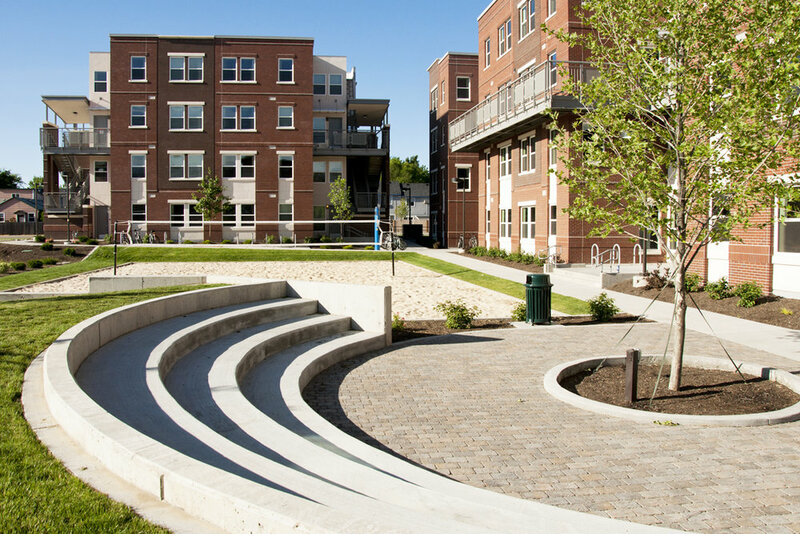 The Land Group worked closely with Boise State University staﬀ to develop site amenities and outdoor spaces to meet the needs of residents and functional maintenance standards of the owner.